Brigit Young was raised in Ann Arbor, Michigan, where she got through many a cold winter by reading all the books on her house's shelves. Her first story, written at age six, told the tale of a monster who wanted a human friend. It ended on a cliffhanger. In elementary school, her mom introduced her to Shakespeare, and she fell down the rabbit hole into the addictive land of stories. Since then, she has published poetry and short fiction in dozens of literary journals, and taught creative writing to kids of all ages. Brigit loves poetry, going overboard for holidays, forcing her husband to do his hilarious impressions, and singing at the top of her lungs when no one else is around. 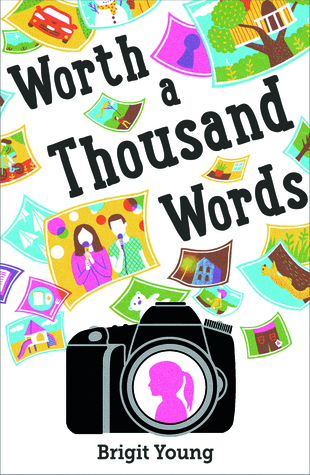 Worth a Thousand Words is her debut novel.